04/05/13 FYSF, Enter to win Thirsties Fab Fitted Cloth Diapers! Enter to win this week's giveaway and you could win two of our popular Thirsties Duo Fab Fitted Cloth Diapers! The Fitted diaper is often overlooked for its inherent built-in bulk, but Thirsties Duo Fab Fitted diaper is shaped trimmer and hugs baby closer for leak protection you can depend on. Encased elastic at the waist and thighs allow Thirsties Fab Fitted diaper to wrap snug without being uncomfortably tight or restricting baby's mobility. As with Thirsties ingenius Duo Cloth Diaper, the Thirsties Fitted Diaper has an interior stay-dry liner that rests against baby's most sensitive parts. This liner is made from 100% polyester and wicks wetness away from baby's skin, keeping the area dry and free from moisture-induced chaffing or rashes. 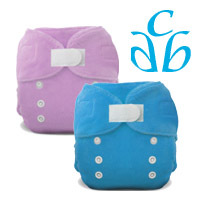 Enter and you could win two of these Duo Fab Fitted Cloth Diapers in the size, color and closure of your choice. I'd like to win so a friend considering cloth can try out an additional style. I love fitteds, haven't tried these yet but I'd love to for my new babe on the way! Would love to try something different! new to cloth diapering, I've heard a lot of great things about Thirsties! I would love to try these out, as I don't have any of them. I haven't tried thirstiest yet but would really like to get some in my stash! I've heard lots of great things about them....so excited! FTM looking forward to cloth diapering my baby on the way! These are cute. I havent tried any fitted diapers but would love to try these they look great! I would love to win these for our new baby due in July. I haven't tried them yet! Littleman will be here in May but I would love to give them a try! I bought one duo wrap and 3 used diaper covers by thirsties so this fitted would fit right in!!! Thanks! We just grew out of size 1 so we need more! They are great! Have not tried this diaper but have been wanting to, we have a baby due next month. I don't have any thirsties & would love to try them! I have heard great things!! i'd love to try these- i have been wanting to check them out and add them to my stash! No but I use the duo wraps daily. But I do love fitted diapers (have been making my own), would certainly love to try Thirsties! I just started my stash and really want to try Thirsties out. I only have six diapers right now and want more variety. So far the diapers we have leak, but I've heard great things about Thirsties. No I haven't tried them yet, but they look awesome! I really like Thirsties fitteds! They're very absorbent and work well for naps! 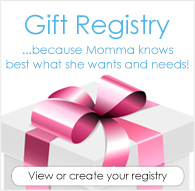 I need this for my newbie arriving this June! I haven't tried the fab fitteds before but I like the other thirsties products I have used, especially their covers. I am new to cloth diapering and would love to try these! I have never tried these diapers, but would love to. I'm pregnant and would love to do cloth diapering. I have not tried these, but love my Thirsties cover and DUO AIOs! I'd like to win because I've never tried these fitted diapers and would like to see how they'd hold up on my toddler. I love these diapers for my twin boys! I have the size ones and will be upgrading to size 2 very soon :) Very friendly for caregivers. I haven't tried the Thirsties fab fitteds, but I've heard awesome things. Right now we ave 2 Diaper Rite Fitteds in our stash, but I'm hoping that grows. because I'm interested in trying cloth! I haven't tried these yet but would love to try them on my son! We just started cloth diapering our 4 month old. We only have a few diapers and would like to try a couple more brands. Fitteds look like they could be easy to use. I haven't tried fitteds yet. My baby girl is chubby and already cloth diapers are super bulky on her. But, I have heard good things about the Thirsties fitted and would definitely try it! I only have pockets and would love to try fitteds. I've tried one of the thirsties duo, but my little one is about to outgrow it! Would love to keep using them! I am starting to grow my stash since my little one is arriving in August. I definitely want to add more Thirsties to my stash! New to cloth diapering. It can be so overwhelming! I'd love to try as many different styles and fits as possible. I'd hate for my babe to miss out on a great diaper! Love these! Really need some for the next size! I have not tried thirsties fab fitteds yet, because most of my stash was either given to me, or made by my mom or myself. I dont really have a lot of money to spend on new diapers. I would love to win though!!! I haven't tried the Fab Fitted, but I'd love to win because I have several other Thirsties products and they're my absolute favorite! I haven't tried Thirsties fab fitteds, but I would love to. I haven't been able to try them yet, but I CD'd my toddler for 3 months (until she potty trained) and I loved their wraps so much that I've bought a BUNCH of Duo Wraps and AIOs for baby #2. I'm working on building up a stash of fitteds to go with the wool I have, and I would love to try these. I love the bright colors! I could certainly use these! I only have one CD so far! Love Thirsties....so easy to use! I have 4 and would love more! No, I haven't tried them yet. I'd love to though. I want to start using wool and I'm looking to build up a small stash of fitteds to use under them. I love all my thirsties products and would love to try a fab fitted!! Baby boy is 8 months and would love the beautiful blue color! I haven't tried them, but I'd like to because of the stay dry inside. That seems unique. I love Thirsties duo covers, but have never tried these. Would love to have some fitteds! I've never tried cloth diapers, I'd like to win these to see if I want to do that instead of disposable. I have one and would love more! I have not tried this type yet but I have tried the Duo Diaper which I absolutely love! I love the covers and would love to try the fitteds! I am new to cloth diapering and would love to try a fitted diaper. I love Thirsties and would love the opportunity to try this diaper. I like fitteds and I like Thirsties, so I'd love to try the Fab Fitted. I haven't tried them, but I'd love to try them so I could test out how I like fitteds! I haven't tried the fitteds, but I like their Duo Wraps! We used Thirsties old version of their Fab Fitteds. I love them for when our little guy was in the hospital for abdominal surgery. He still loves his soft diapers! I just got 3 of these in, and they washed up beautifully. They are incredibly soft. I have one and love it for nighttime. I haven't tried them yet, but naturally I'd love to because I like other Thirsties products. I love all THIRSTIES products. I'm currently shopping for both myself and for my sister who is expecting her second child and is trusting me with finding the best diapers for her to try. I've been on the warpath for THIRSTIES and have recommended she do her entire stash with their line of diapers. The extra leg gusset, in my opinion, is a major selling point that you don't always see on a cloth diaper. These look great. Would love to try them. I love the Fab Fitted diapers! I have not tried them. My daughter will be using cloth diapers when she has my 1st grandchild soon. I would love to win for her. I haven't tried the Fab Fitted yet. I am always looking for good fitteds and would love to try one! we have 1. I love how soft and comfy it feels/looks. I love Thirsties Duo Fab Fitteds! They are the only diapers I put on my baby at night! i love thirsties but have never tried these! they seem to be great and are so cute! Would love to win these for our new grandson! I don't have any fab fitted by have really been wanting to try them. I love my thirsties covers. i have not tried them yet but would love to after i felt how soft and amazing these are today! I've never tried the DUO Fab fitted diaper but I do use the DUO All in One's and love those. Im sure these would be just as fabulous! I would love to try these, I need a good night diaper and I hear these are great! I would like to try them because I have heard good things wabout them and I am new to cloth diapering! I haven't used the fitteds, but I love my duo wraps so I'd like to try these too. I have not tried them but I would love to! Don't have any fitteds in my stash yet. I haven't tried the new ones but we loved the old style ones! I'd love to try the Thirsties diapers. I have a Diaper cover or 2 by Thirsties and love them! I got my first Fab Fitted recently and I LOVE it! It is our night time diaper with a Thirstiest cover now! I've never tried them. I'd like to try fitteds! Don't have any in my stash. We've been more broke than usual with Daddy waiting on this new job to start. In the meantime, the baby is making it clear she's ready for a new diaper solution, and this is on the top of my "to try" list. I'd LOVE to win some instead of buying! I haven't tried the fitteds yet. I'm still creating my diaper stash and waiting to see what I receive from my baby shower. They look very comfy and absorbent though. I've tried them in size 1 but not yet in size 2. I did like them ok. I've never tried them which s why I'm super excited about this giveaway! I hear nothing but wonderful things and I'm still very new to cloth diapering! Thanks for the opportunity! I've never tried them, I just starting to use fitteds, turns out I love them! I have not tried one but would love to win one to try it. I love our covers. I love the fab fitted diapers. They are so super absorbent and keep my toddler dry all night. yes, we have one that i purchased used and its my favorite nighttime diaper. its really great. Have not yet tried this diaper but would love to add it to my stash! I love Thirsties brand but have never tried a fitted diaper! Pick me, pick me! The stay dry interior sounds good. I've never tried any thirsties diapers yet! I haven't tried them yet, my baby is due soon. I haven't tried them yet. I'd love to have a fitted that actually fits my baby! All the ones I have are huge! I would love to win these so I can review the product. None of my cloth diapering friends have tried these before. I have two Thirsties diaper covers in size 2 and i'm not quite happy with them (they still fit really big on my 21lb son on the smallest setting), but I'm definitely interested in their other products! I've tried the Fab Fitted and it's a great daytime fitted. Very trim. I'd love to give these a try! I've been using prefolds, but I'd love to add some fitteds to my stash. Love the Thirsties duo wrap covers. I have never tried these diapers yet! money is tight(for everyone) but id love to add them to my small stash, ive heard great things about them. I have always used one brand of diaper and would love to try a new one! I haven't tried these and I'm looking into cloth diapers for my new little one that is one the way. I have not, but would like to. I haven't tried them, but plan to when my little one arrives this summer. I haven't but I'd love to win because everyone says good things about Thirsties! I haven't tried the fab fitteds yet, but am really liking fitted diapers and would love to try these since they get such good reviews. I haven't tried the Thirsties fitted yet buy would love to try one out as a night time solution for my little heavy wetter. I haven't tried them, but would love to! I need to build up my diaper stash for my new baby. I have not tried the fitted yet, I just bought my first Thirsties cover and i love it! I haven't tried the Fab Fitteds yet, but I have started using fitteds and covers on my son at night and love how much they absorb! I have heard a lot of good things about Thirsties, but have yet to try them. Would love to! Love Made in the USA products! I wanted to try these but I've got to wait for my baby to cook a little longer before we meet him. So I'm trying to prepare for the big change in our lives. Never tried thirsties but plan to use cloth with my third child.